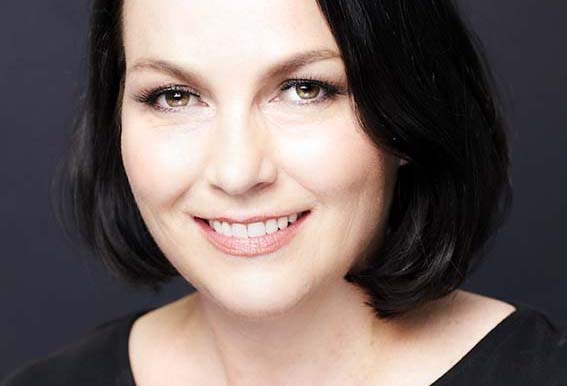 The Australian ad industry will be shocked to hear of the sudden, unexpected passing of Amy Longhurst, one of Australia’s most sought-after voiceover artists, a professional singer, and the voice behind a roll call of iconic brands. Amy, who passed away at home on Sunday evening, leaves behind two deeply loved daughters Veronica and Rosie, their father Sam, a loving family, and many friends who are grieving and missing her enormously. With a showreel that includes Telstra, Kellogg’s, the NRL, Milo, Kleenex, Westpac, Napisan, Preen, Campbell’s, NRMA, Vodafone, Uncle Toby’s and the Commonwealth Bank – plus two decades as the female voice of Nick Jr and the Lifestyle Channel – Amy worked with every major advertising agency and radio network in Australia. She was represented by leading voiceover agency EM Voices. A seasoned stage and session singer, Amy performed lead roles in musicals including Elvis the Musical and Long Gone Lonesome Cowgirls and sung on award-winning campaign jingles and many a theme song including Foxtel’s Wonderpets. She sang in three bands, one of whom (Hairpin Culvert) recently launch their debut album and signed on with a major Australian label. Since graduating acting at NIDA, Amy performed an eclectic array of stage and screen roles (from Shakespeare to Home and Away), hosted radio programs including the Qantas In-flight Light & Easy program and indulged her passion for jazz as a presenter on 89.7 Jazz FM and national jazz correspondent for Australian Music Airplay Project (AMRAP) creating, producing and recording sound features for national broadcast. For more than 20 years Amy taught voiceover at NIDA, AFTRS and the Sydney Theatre School, as well as providing vocal training to private clients including politicians, media personalities, corporate and academic leaders and providing in-house voice seminars for radio stations such as NOVA 96.9. As if this wasn’t enough, Amy also ran Launchpad with radio producer Dave Stein, a recording partnership training and producing demos for voice-over talent. Amy’s funeral will take place at 2pm on Monday 8 April, at Magnolia Chapel, Macquarie Park Crematorium, North Ryde. Followed by a wake at her mother Judith’s house. A lovely article and a very sad time. Just shattered by this news. From catching the ferry to and from school; to working with her behind the mic. Vale lady Amy. I miss your smile. Such a vivacious voice. And lady. My condolences to all her family, friends and copywriters, who’s scripts she regularly saved. A great loss. An amazing talent, mother and wife who will be truly missed. Incredibly saddened to hear this news. Amy brought a wonderful balance of fun and professionalism to every job I had the pleasure of working with her on. Another great talent gone.